Fruits are my favorite and I make sure that I have one every night. 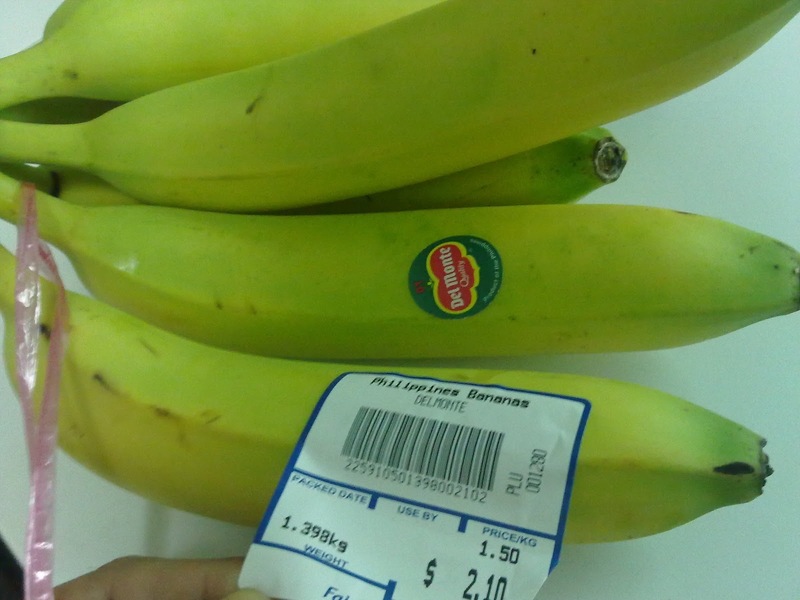 I went to FairPrice to buy one type of fruit and I saw something hanging on the fruit stand. It's a banana, yeah, a common thing...but when I saw the label, I was surprised. 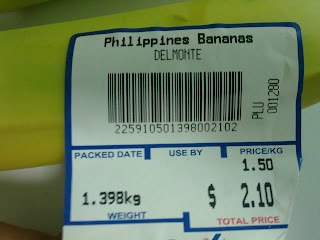 It was labeled as "Philippines Bananas". I thought that I just read it wrongly, yes, there is an "S" in the Philippines. 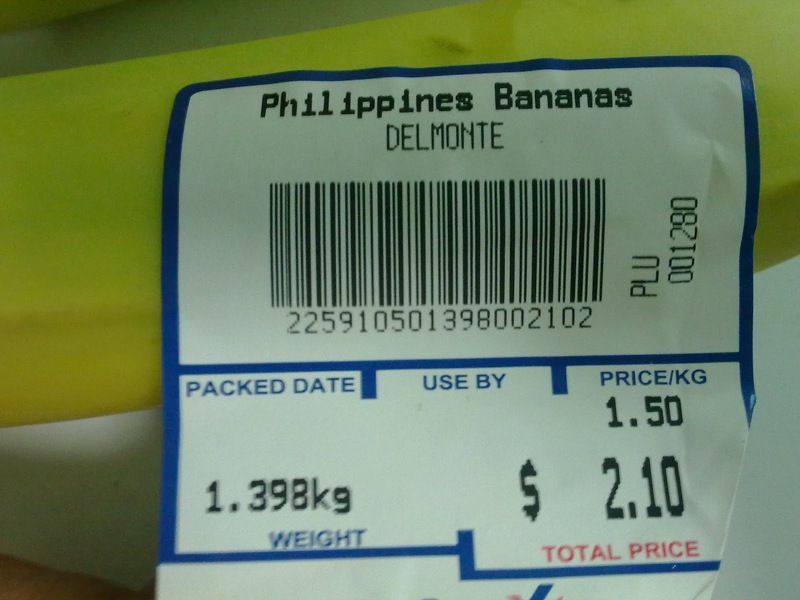 A Del Monte product that costs S$1.50 per kilo. The price is not that bad...I bought eight pieces of it.